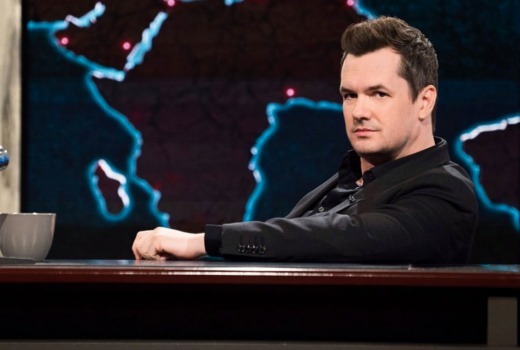 Aussie comedian Jim Jefferies, best known for Legit, comes to the Comedy Channel with his series, The Jim Jefferies Show. Jeffries interviewed Pauline Hanson for this one. The Comedy Central series debuted in the US last month. night talk show. At the start of the season, Brad Pitt popped in to play Jefferies’ weatherman. Who’llmake an appearance this evening? 8:30pm Thursday July 20 on Comedy. Yeah whats up? I’ve watch a couple of eps on TCC. Ugh. I’ll be honest and state that I couldn’t tell you how good or bad this particular show is. I’ll also say that great comedians often push the line on certain subjects. But this guy is one that crosses the line & then goes even further. I don’t use the word often, but he is disgusting. I’ll leave it at that. Fun show, but the info is a bit outdated – 5 episodes have already aired here, as it premiered 24 hours after its US debut. The Pauline stuff was included in either episode 2 or 3. Hanson was on ep 4 before the break for Independence Day. Thanks for the correction. The memory isn’t what it used to be.